I have literally been showing this to all my friends since I came across this marketing campaign, but only now have I had the time to show you how glorious inglorious food can be! Intermarché is a french supermarket chain that has decided to tackle one of food sales biggest problems. Getting the ‘deformed’ fruit and vegetables on their food shelf and successfully selling it to us, the people with a small phobia for strangely shaped fruit and veg. At least 40% of fruit and vegetable don’t actually make it to supermarkets due to their shape not being ‘perfect’ in the UK alone. That means we are wasting 2/5 of healthy food that we cultivate. Even more disgraceful is that as a planet, we waste $750 billion of food each year! Now I don’t like to use the starving kids in the world card, but that is quite an embarrassing amount when that food could definitely be used. 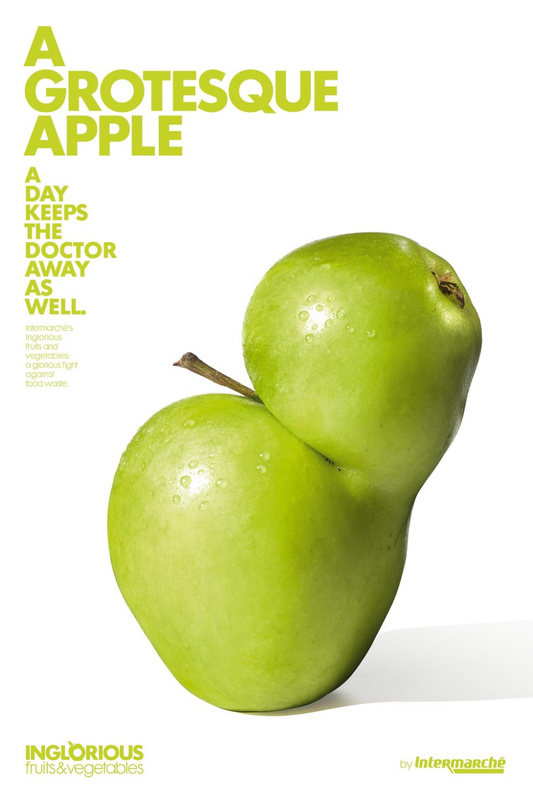 Rather than increasing food wastage, Intermarché came up with a better idea. They decided to stop ‘discriminating’ against these irregularly shaped foods and actually started promoting them! 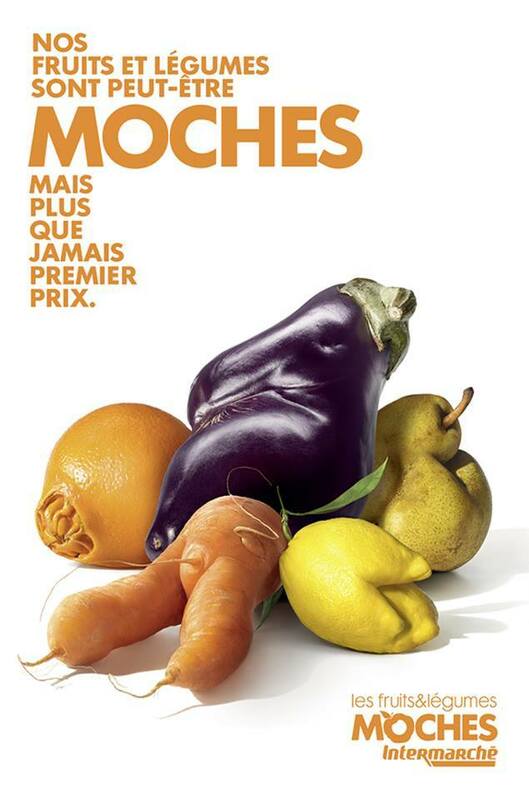 This campaign is called ‘Les Fruits & Légumes Moches’ or ‘Inglorious Fruit & Vegetables’. Check out their posters! 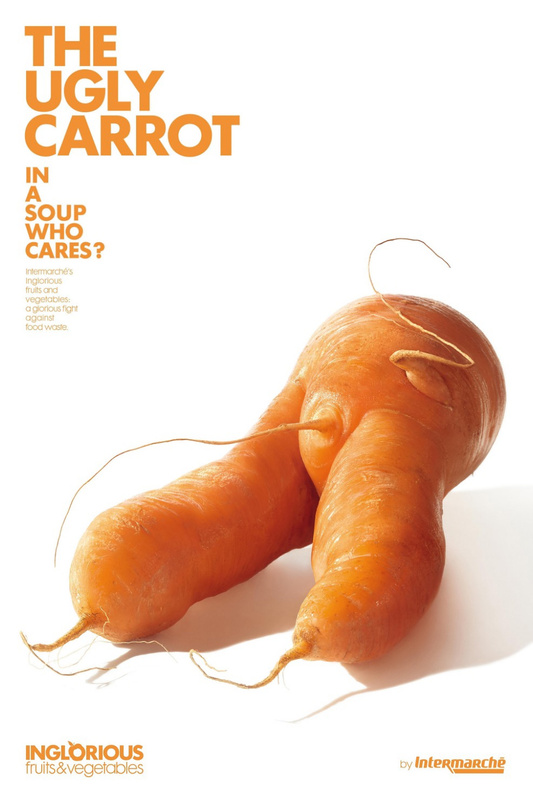 There is only so much a visual campaign can do to persuade a prejudice society, so Intermarché sold these fruit and vegetable rejects next to their perfect siblings for a lower price. People actually opted for the underdog of fruit and vegetables as they could save up to 30% on buying these rather unfortunate looking bits of food over the pretty ones! Moreover, Intermarché started creating fruit juices and soups with them having them both as a free sample to consumers as well as selling them as independent products. 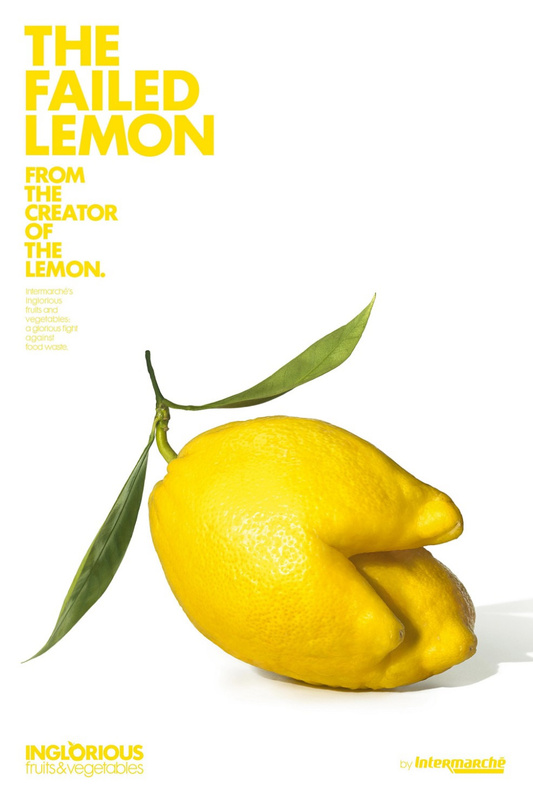 Patrice de Villiers and Ad agency Marcel, you have literally created a visual campaign of pure genius! After all, we tend to cheer on the underdog and love a bit of a sob story to go with it! So tell me UK… Where can I find myself a ridiculous potato?